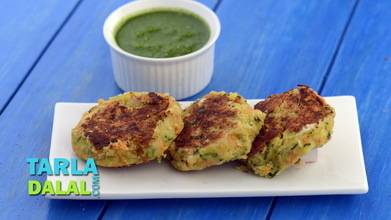 Let's give a healthy twist to the evergreen aloo tikki! using sprouted moong increases the nutrient-value by at least 15 per cent, while coriander and mint give an aromatic spin to the tale. 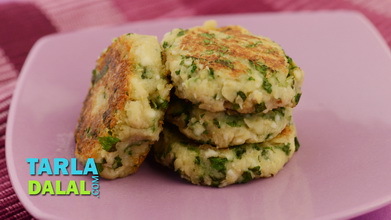 Serve these fibre-rich tikkis hot and crisp, as soon as you prepare them. 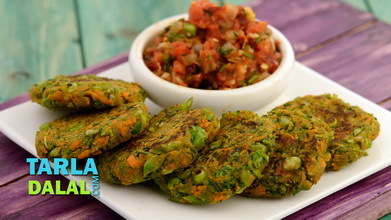 Blend the sprouted moong along with little water in a mixer to a smooth paste. 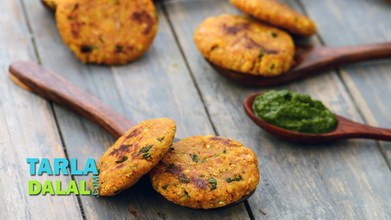 Transfer it to a bowl, add the coriander, mint leaves, besan, salt, asafoetida and green chilli paste and mix well. 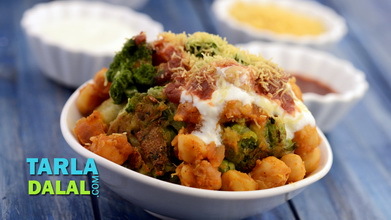 Divide the mixture into 6 equal portions and roll out each portion into 50 mm. 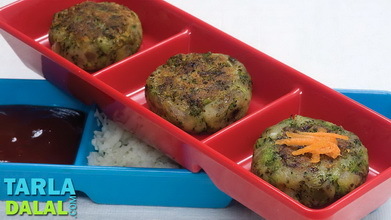 (2”) round flat thin tikkis. 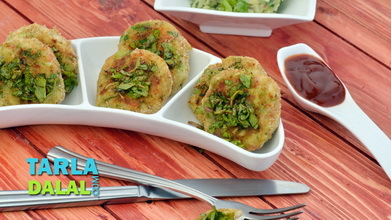 Roll each tikki in mint leaves and coriander, till they are covered from all the sides. 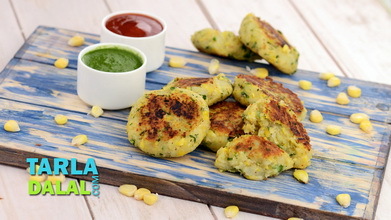 Heat a non-stick tava (griddle), and cook each tikki, using 1/8 tsp oil, till they turn golden brown in colour from both the sides.